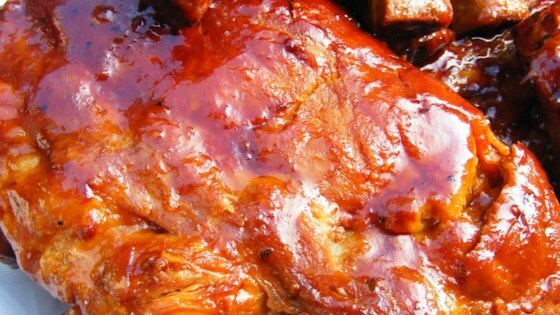 "An easy and delicious way to prepare tender barbecued ribs without the barbecue!" In a medium bowl, mix together the ketchup, chili sauce, brown sugar, vinegar, oregano, Worcestershire sauce, hot sauce, and salt and pepper. Place ribs in slow cooker. Pour sauce over ribs, and turn to coat.